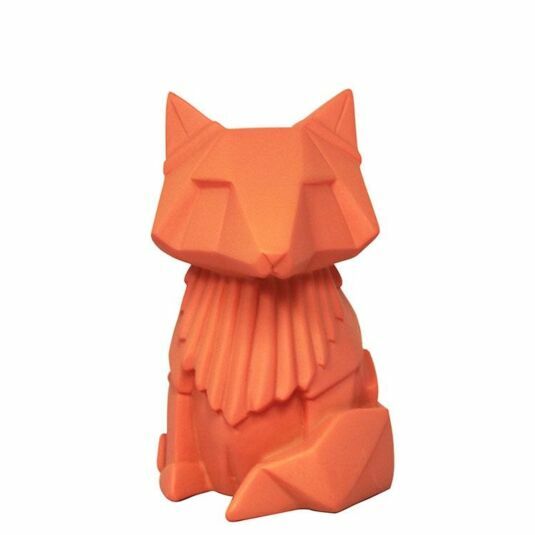 Create the warmest of atmospheres whilst adding some oriental inspired design to your home with this Origami style fox lamp from Disaster Designs. 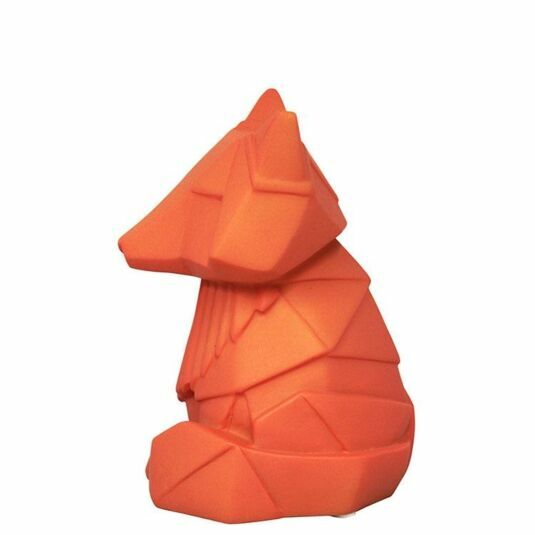 The lamp is bright orange in colour and combines clean cut lines and cubist shapes to create a striking sculpture of a fox, sat on his hinds with his tail curled round his legs. 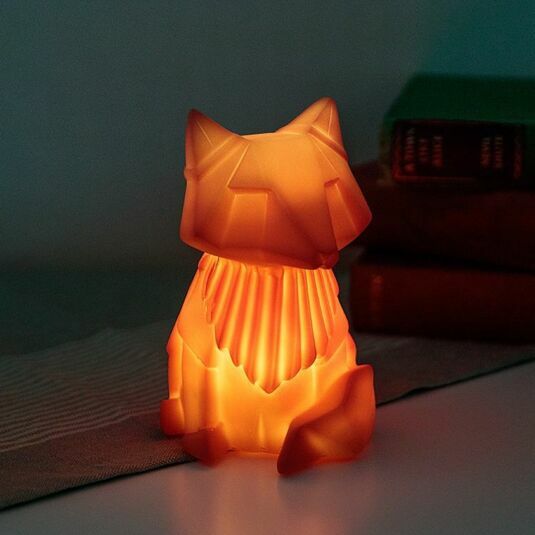 It can be plugged into a computer via a USB connection, bringing a soft, comforting glow to your desk whilst studying or working or it can stand alone on a shelf or bedside table, using battery power to light up the LED within the orange translucent polyresin body. 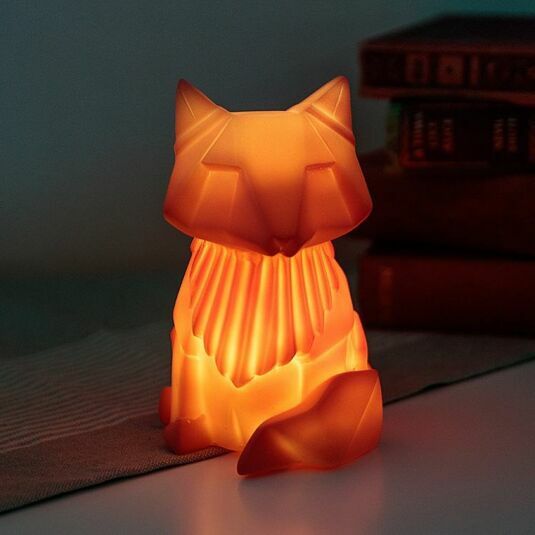 This unique light adds an original touch to a room, making for a friendly nightlight in a children’s bedroom or an interesting statement piece for a teenager. 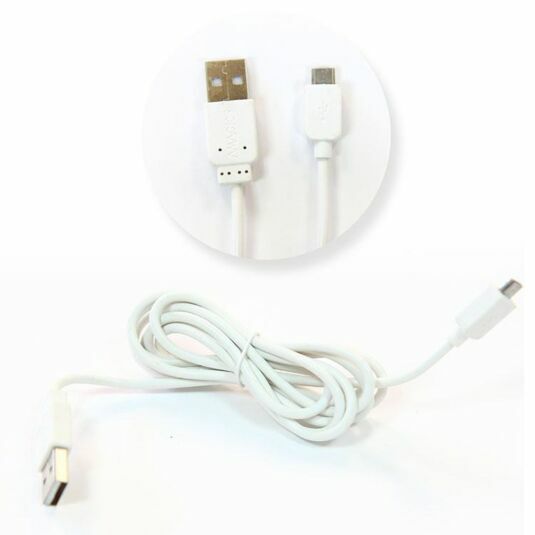 It would make a great birthday or Christmas present for friends and family, adding a warm glow to your home.